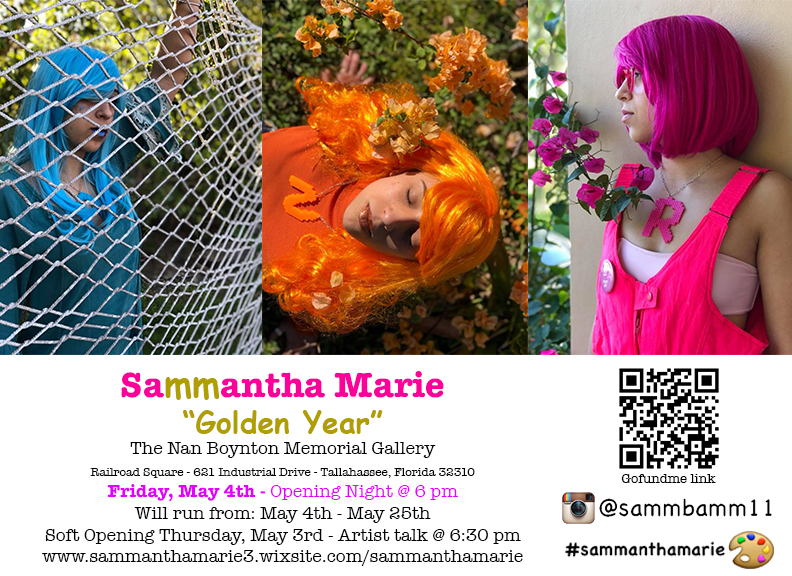 FSU BFA ’17 Sammantha Marie Sanchez will present her exhibition, “Golden Year” at the Nan Boynton Memorial Gallery, located at 621 Industrial Drive at Railroad Square. The exhibition will open May 4 and run through May 25, with a soft opening on May 3 that will feature an artist discussion at 6:30pm. Contact Sammantha at (786) 348-5817 for more info.